The word “toilet” came to be used in English along with other French fashions. It originally referred to the toile, French for “cloth”, draped over a lady or gentleman’s shoulders whilst their hair was being dressed, and then (in both French & English) by extension to the various elements, and also the whole complex of operations of hairdressing and body care that centered at a dressing table, also covered by a cloth, on which stood a mirror and various brushes and containers for powder and make-up: this ensemble was also a toilette. As the years went by, the word evolved into actually being the room or facility in which one arranges their toilet, perhaps following the French usage cabinet de toilette, meaning powder-room. In modern days, toilet refers to the plumbing fixture that one might use in the “bathroom,” with “bathroom” now describing the facility one would go to for the purpose of using the toilet or lavatory. At CALLAHEAD, it has always been our mission to provide our valued customers with the finest portable facilities available. We are committed to providing high quality portable restrooms to serve your guests with comfort and style. CALLAHEAD does not settle for standard portable toilets, we go above and beyond the simple concept, creating the most exclusive temporary restrooms available in the industry. Today, CALLAHEAD introduces “La Femme Toilette” portable toilet for women. With the design & development of “La Femme Toilette”, CALLAHEAD makes it easier for females to use portable toilets. 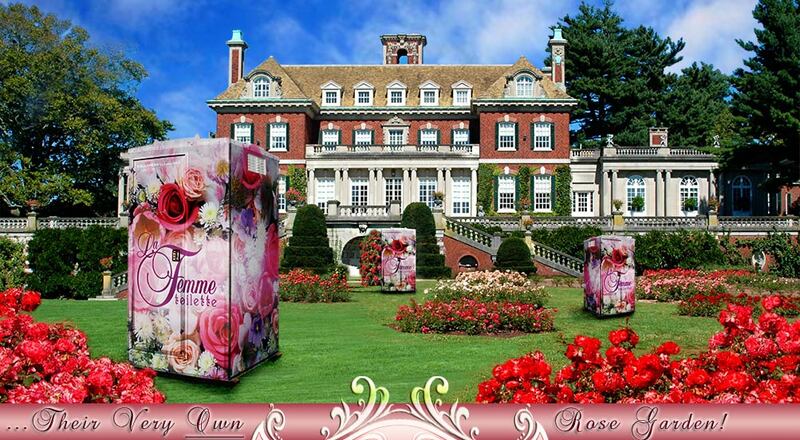 “La Femme Toilette” is the most elegant looking portable toilet available, created solely with the likes of a woman in mind. Using a soft pink color & fine lace designs, “La Femme Toilette” is designed to be everything a woman’s portable restroom should be. The “La Femme Toilette” porta potty provides ladies with the comforts of home in a clean, private and spacious unit. 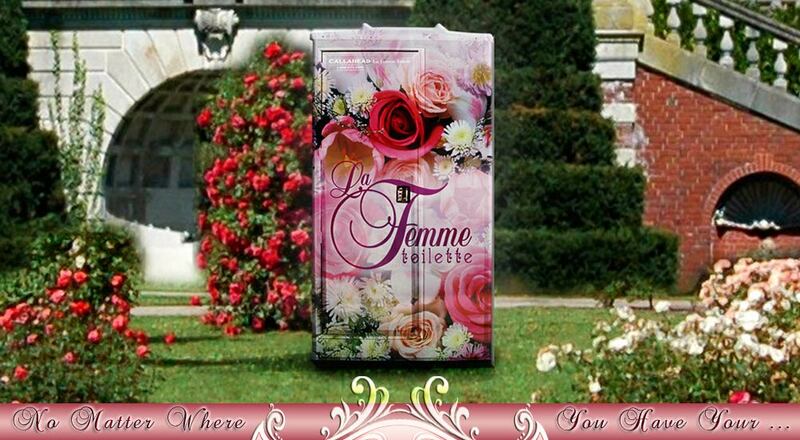 For your personal convenience, “La Femme Toilette” comes fully equipped with a dual roll toilet tissue dispenser, a seat pad dispenser, a stainless steel deck mount soap dispenser and a single fold paper towel holder. 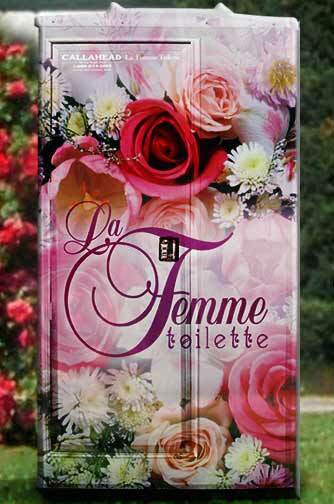 “La Femme Toilette” lady's portable toilet is specially designed to be completely odor free. This women's luxury porta potty is also solar powered, requiring absolutely no power or water supply to operate. With the design & development of “La Femme Toilette” CALLAHEAD makes it easier for females to use portable toilets. 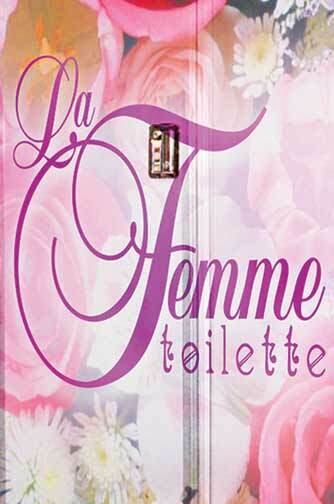 Women will be completely satisfied with their bathroom experience and proud to use the “La Femme Toilette” portable toilet. 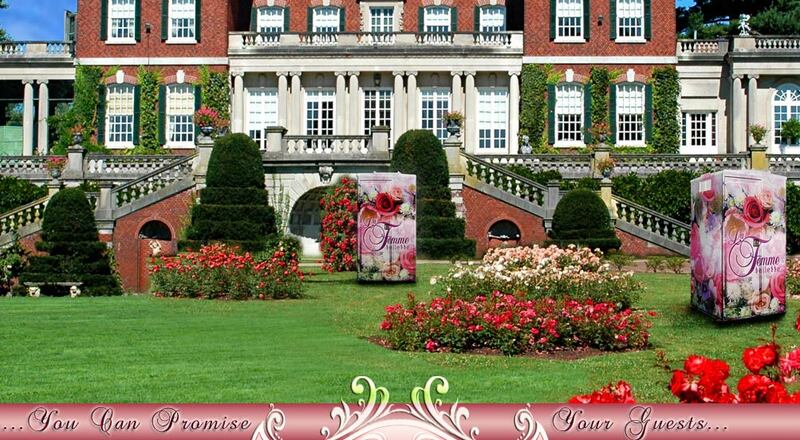 Clean and reliable woman's portable restroom facilities are an integral part of every event. At CALLAHEAD, we are committed to assisting your restroom needs with professionalism and total confidence, so that you may be rest assured that your guests will be treated to luxury. Without convenient and efficient portable bathrooms, your event could be less than memorable. 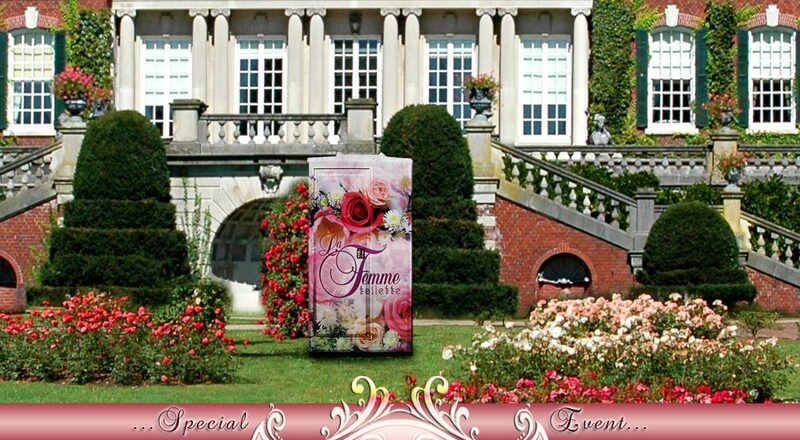 Order your “La Femme Toilette” from CALLAHEAD today to help commemorate your special event! A Portable Toilet Designed for Women!